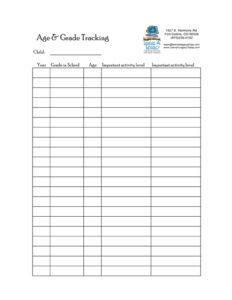 Keep track of your child’s age, grade, and year in school. Organize your family videos and old movie films. Organize your photos for an album. This method works for print photos in a physical file and digital photos on a computer. This form will keep things organized whether you choose creating the pages yourself on one of our Aspen kiosks or if our team is getting creative for you.